Also known as manufactured quartz, this material is made with a mixture of ground natural quartz and resin. Tougher than natural stone countertops, engineered quartz countertops last longer because they aren’t as vulnerable to inevitable wear-and-tear while maintaining a natural appearance. Cambria, Silestone, LG Viatera, and Daltile One Quartz are brands of engineered quartz we offer in diverse color sets. Available in a variety of colors, natural stone countertops are a great choice if you are looking to introduce a warm and earthy environment to the room. Granite, marble, and soapstone are the most commonly used natural stones. A combination of marble particles and resin, cultured marble countertops are the way to go if you want custom and low-maintenance surfaces. Cast in a mold, cultured marble can be designed to fit specific needs and only requires minimal cleaning. Better yet, grout lines are eliminated by using this material and it looks just as good as genuine marble. quam. Although not quite as durable as natural stone or engineered materials, laminate does provide several advantages that are worth noting. Laminate is easy to install, can be bought in preformed or custom options and endless colors, patters, and textures are available to choose from. For all of our cabinets, we rely on Tru Cabinetry as our supplier. Tru Cabinetry is located among superb hardwood forests in Alabama and takes pride in supporting its small-town community. While using the best manufacturing processes available, Tru Cabinetry maintains the long-standing joinery and quality standards that have become an American craftsmanship tradition. With an assortment of styles, stains, finishes, and wood available, Tru Cabinetry can match any home vision. Cabinets aren’t cabinets without the hardware and accessories that make them useful. Along with providing superior cabinetry, we offer a variety of items to complete a cabinet’s look. Every cabinet needs a knob or pull, and our partners at Hardware Resources and Hafele help us to provide the necessary hardware. Tired of messy cabinet interiors? Let us straighten things up with trash can pull-outs and organizers from Hafele and Rev-A-Shelf. These added necessities can make your cabinets beautiful inside and out! 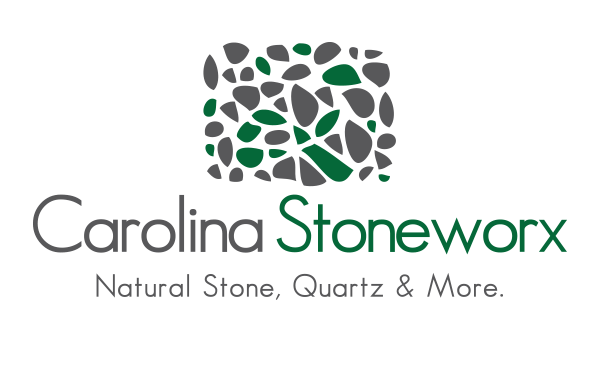 Carolina Stoneworx is the quality provider of custom countertops and cabinets in Wake County and the surrounding areas. With our granite and quartz countertop fabrication shop in Knightdale and cabinet showroom in Raleigh, Carolina Stoneworx prioritizes exceptional service for its customers while also bringing 30+ years of experience along to projects of all sizes. True to our mission to serve, Carolina Stoneworx offers extra customer assistance unique to our company. Free project estimates or initial residential visits and quotes to remove and dispose of existing countertops are just a few of the ways Carolina Stoneworx puts our customers first. © 2017 Carolina Stoneworx. All Rights Reserved.